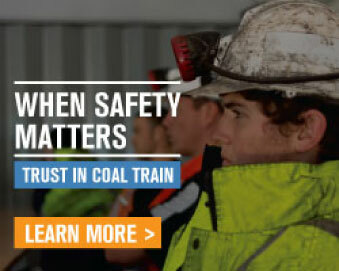 Coal Train are an approved pre-qualified supplier of User Choice Funding. User Choice Program – 2017-2020 is funded by the Queensland Government and provides public funding towards the cost of training and assessment for Queensland Apprentices and Trainees. RII30115 Certificate III in Surface Extraction Operations. Visa holders may engage in apprenticeships and traineeships provided their work rights allows this, based on information and advice provided by the Department of Immigration and Border Protection (DIBP). Participants undertaking an apprenticeship will be required to pay student contribution fees. Student Contribution Fees are the non-government contribution for the cost of training and assessment services. These fees are set at $1.60 per nominal hour for each unit of competency and are paid on behalf of the participant by their employer or another third party. Partial exemptions and full exemptions of fees are available for participants who meet one or more of the exemption categories. Fee-free Year 12 Graduates is available where a participant commences an apprenticeship within 12 months of completing Year 12 and meets eligibility, they will not be charged a contribution fee for the for that calendar year of commencement. For further information on apprenticeships within Queensland, please see the apprenticeships website. Training and Assessment can occur in various modes including classroom and workplace. Your Training Plan will reflect the mode of training and through discussions, your mode of training and assessment will be determined.